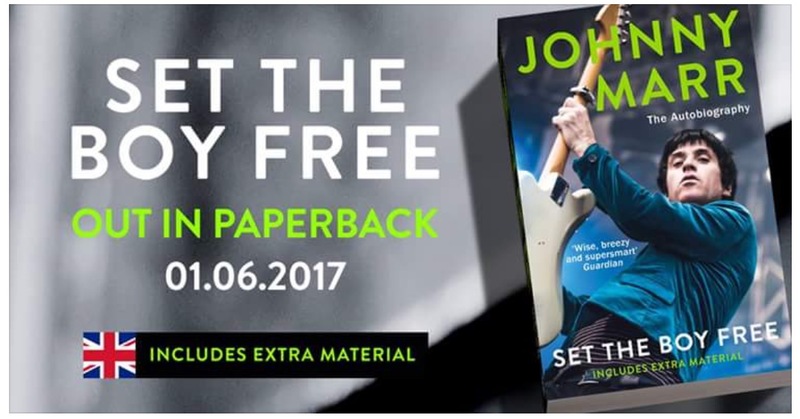 2017: Check out Johnny Marr's best-selling new autobiography "Set the Boy Free" now available in book stores and online, also available as an e-book here. Nov. 2008: Come read this! Very inspiring, historical, and influential! "Always from the Outside: Mavericks, Innovators and Building Your Own Ark". [learn more click in here]. July 2007: Johnny Marr designed limited edition sneaker in aid of Autism Charities www.cureautismnow.org! [Courtesy of Jmarr.com brought to you by Rock for Learning] Johnny Marr has collaborated with PF Flyers to design a limited-edition sneaker with all proceeds going to charity partners, The Pictor School and Cure Autism Now. "I was delighted when PF Flyers invited me to design a shoe", states Marr. "I've been wearing PF Flyers onstage for quite awhile and to come up with a design on a sneaker that will also benefit charity and the Pictor School is important to me as well as an exciting opportunity." Johnny Marr designed the PF Flyers Center Lo sneaker himself in luxurious dark blue leather with black accents. To top off this collaboration, Marr’s signature is laser etched on the tongue of each and every shoe. Only 108 pairs of this limited-edition sneaker available in the US and another 108 pairs in the UK. US pairs will be available through Cure Autism Now's website (www.cureautismnow.org ), with all proceeds directly benefiting the charity. Parallel charitable efforts will also take place in the UK, where all proceeds will go directly to The Pictor School, a school in Manchester, England for children with special needs. Boom Boom Boom... is that my heart beat bangin’ on in rhythm? Give me that deep double bass drum again and again! Bangin’ on with love! It’s powerhouse drummer, Zak Starkey, a Healer with energy like no other born of The Beatles‘ Ringo Starr (Starkey) and previously resounding on drums with The Who (1996-2002). Zak Starkey bears his own life force with Johnny Marr & the Healers. The closest to the power of a New Moon as one can get, Zak creates resounding forces of rhythm and big venue sounds wherever he is with such a seeming simplicity of action. I’ll say he’s one of THE MOST powerful drummers of my generation for sure. Feel the force - Boom! Boom! This bud of love, by summer's ripening breath... It’s love at first sound. Up on stage Johnny Marr & the Healers are Bangin’ On as Johnny sings his newest single Down On the Corner, “Walk on down that street where we need you down on the corner where there‘s nothin’ to do.” It’s new music to live by. Lights colorfully flashing, guitar slinging, on stage with bassist, Alonsa Bevan (Kula Shaker), keyboardist, Lee Spencer, and powerhouse drummer, Zak Starkey (The Who), Johnny Marr shines in his own light as front-man lead singer and guitarist. Afterwards I did go up to see him. He already knew diagrams weren’t necessary. We got it as Johnny noted a message to Rock for Learning that just may be familiar to millions: Everybody is a star. A message like that happens only from the well aware. A reader of transcendence and spiritualism, Johnny shared some of his present favorite authors to read, "Ram Dass, Aldous Huxley, and Jack Kornfield..." and of worthy mention, "Yeah, I know the Seth books." What is it about these authors that is so worthwhile? Maybe they, like Johnny Marr & the Healers, can shine a light on a path of life that truly rocks, maybe even a path of love. Awareness is an adventureland for exploration, and Johnny‘s got some good picks. And as parting is such sweet sorrow... especially from a man of such amazing energy, Zak says to me, "I gotta go." It's that lyric from the famous Cat Steven's song Father & Son, "I know, I have to go." Have to, got-ta, that's what I mean about hearing Johnny Marr & the Healers. As surely as my heart beats I will keep on following that path with great music and books. They're on it, and I love it! Rock for Learning endorsement from Johnny Marr - Everybody is a star. Image copyright 2003 - Melanie Silos. All rights reserved. Please support Rock for Learning by honoring this copyright law. 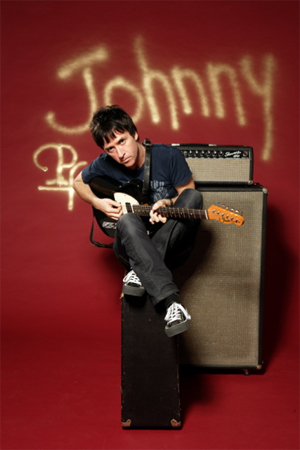 Please e-mail Rock for Learning to make a purchase offer for the original of this Johnny Marr autographed logo page. 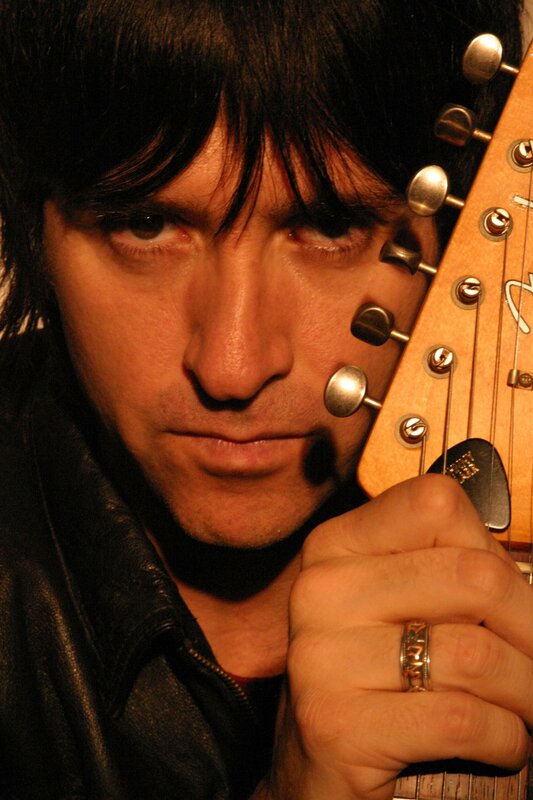 For JOHNNY MARR & THE HEALERS official website and tour information, click here. See Artistdirect.com for updated tour dates. Copyright 2003-2017 New Moon Publishing & Consulting All rights reserved.